Nobody knows displays like Nomadic! We invented pop-up technology. 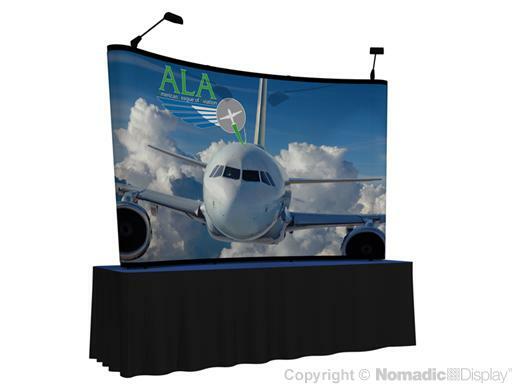 Fast and easy to set-up, this Instand® table top pop up display delivers a visually compelling graphic back drop. Choose from halogen or LED lighting to bring your graphics to life. Only Instand is backed by the industry's best-in-class "No Questions Asked" Lifetime Warranty.